We are grateful for your support of our church. 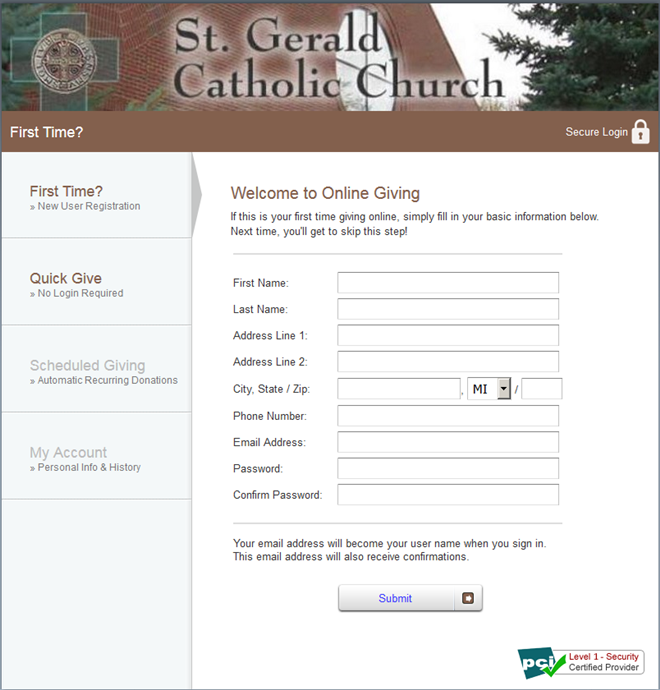 Online Giving allows you to make contributions to our church without writing checks or worrying about cash donations. This site lets you set up automatic contributions and change the timing or the amount of your gift at any time. You can use your checking, or savings account, or Visa, or MasterCard. At this time we are not set up for American Express. 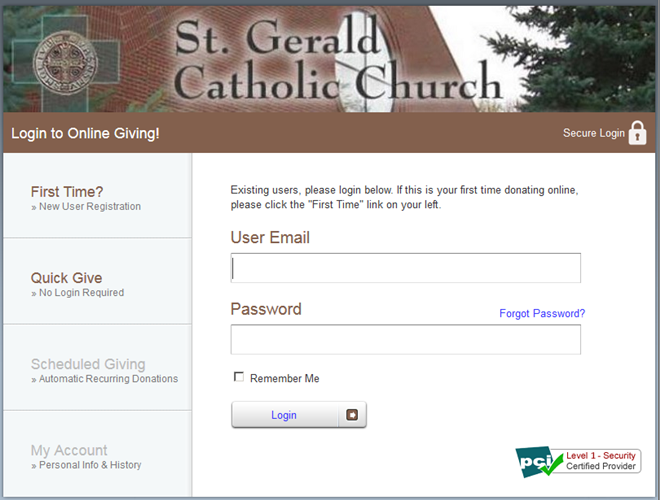 Clicking on the above button will take you to the secure Online Giving website where you can register for the first time and schedule your donations or make a one time donation. The information below is what you will encounter at the website. Please follow these steps. Please click on First Time? – New User Registration to complete your initial account registration. Please enter Name, Address and Phone, Email, Password, Confirm Password. Recurring: An ongoing donation; Sunday Offering is the most utilized recurring donation, but below is a listing of the other funds that will be available one week before and one week after collection. A notice will be put in the Voice showing the timing for you to submit your payment Online.